The up and coming apprentices of the Housing Industry Association stripped off their favourite flouros, got a rest from their work boots, and suited up to celebrate their Apprentice awards. Red Scooter played host for the night, offering up a gorgeous sit down dinner menu as part of their unique event experience. After all the formalities had finished, gracious losers got the chance to redeem themselves, as the party hit the dance floor, and everyone who attended this great event became a winner. 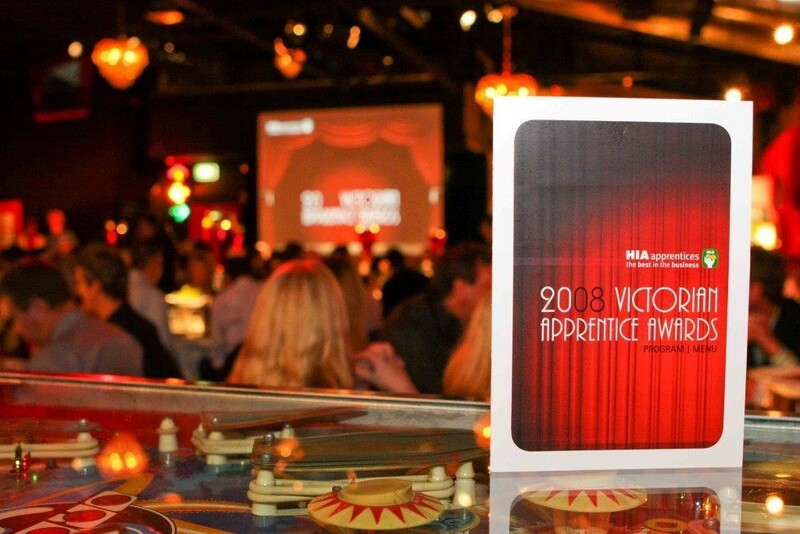 Read about other awards evening we’ve hosted including the Fitness Victoria Awards.